Manchester United's French midfielder Paul Pogba has been told he’ll never captain the club again. JOSE MOURINHO has told Manchester United's squad that Paul Pogba will never captain the team again. 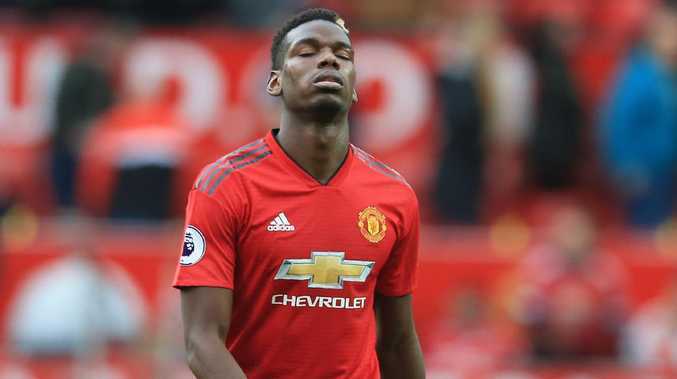 The Sun revealed this morning how the Red Devils boss tore a strip off Pogba on Saturday for his carelessness that lead to the Wolves goal in a 1-1 draw. He was then left fuming when Pogba came out and criticised Mourinho's tactics publicly. Now the boss has taken action by taking the armband from him, which he wore three times this season in Antonio Valencia's absence. It is understood Pogba was not present when Mourinho delivered the news to the squad who are involved in tonight's Carabao Cup tie against Derby. He gathered them together at the club's Carrington Training Ground telling the players that no individual was bigger than Manchester United. It was a clear show of Mourinho's authority to the rest of the players who will have read Pogba's comments in Monday morning's papers following the Saturday's 1-1 draw with Wolves. Pogba said: "When we are at home we should attack, attack, attack. That's Old Trafford. We are here to attack. I think teams are scared when they see Man United attacking and attacking. That was our mistake today." When the club record signing was then asked what is stopping the team from attacking more he replied: "I can't tell you because I'm a player. It's not me."